Loren Benjamin Mead, son of Dr. Walter Russell Mead and Dorothy Nauss Mead, died peacefully under hospice care at his home, Goodwin House Bailey’s Crossroads in Falls Church, Virginia, on May 5. Mead was born in Florence, South Carolina, on Feb. 17, 1930. An Episcopal priest, Mead was an educator, consultant, and author who worked to strengthen religious institutions, especially local congregations. He collaborated with lay people, clergy, executives and bishops, teachers and others committed to ministry. A pioneer in congregational studies, Mead brought together the methods of organization development consultation and applied research for working with congregations. As an author, he published four best-selling books on the future of the church: “The Once and Future Church” (1991), “Transforming Congregations for the Future” (1994), “Five Challenges for the Once and Future Church” (1996) and “Financial Meltdown in the Mainline?” (1998). In addition to a number of articles and chapters in edited works, he is also the author of “New Hope for Congregations” (1972), “Critical Moment of Ministry: The Change of Pastors” (1987), “The Whole Truth” (1987), and “More than Numbers” (1994). His most recent book, “The Parish is the Issue,“ refocused on his work with congregations as the future direction. Mead delivered the DuBose Lectures at St. Luke’s School of Theology at the University of the South in 1980, the Cheyney Lectures at Yale Divinity School in 1986 and the Douglass Lecture to the 50th joint meeting of the Religious Research Association and the Society for the Scientific Study in 1999. In his work with churches, Mead developed a number of resources still widely used: The role and work of the interim pastor, the use of conflict management, the work on clergy stress and burnout, concepts of change and development in congregations and their judicatory systems, training methods for executives and bishops. He has been concerned for the personal, professional and spiritual development of lay and clergy leaders, and especially for the creative possibilities for churches and leaders at moments of transition in role. Mead worked with local, regional and national groups, with seminaries and church agencies in several dozen denominations in the United States, Canada, England, Scotland, Germany, Australia, New Zealand, Namibia and South Africa. Mead’s work with the Alban Institute was informed by his career in the parish ministry. From 1955 through 1957 he was the rector of Trinity Church in Pinopolis, South Carolina. In 1957 he accepted a call to the Church of the Holy Family in Chapel Hill, North Carolina. In 1963-64 he served as the visiting rector of Esher in the United Kingdom, returning to Holy Family until then-Presiding Bishop John Hines asked him to direct the experimental “Project Test Pattern” for a three-year period. In 1974, Mead founded the Alban Institute, developing its national, multidenominational network of research, publishing, education and consulting. When he stepped down from its presidency in 1994, the institute had 8,500 members and was widely recognized as a leading force in the life of the contemporary church. He continued to consult, write and teach until the last years of his life. Mead received a bachelor’s degree from the University of the South, where he was elected to Phi Beta Kappa. He also earned a master’s degreee from the University of South Carolina. After teaching in the Wil Lou Gray Opportunity School for Adults for two years, Loren attended Virginia Theological Seminary and received his Master of Divinity degree in 1955. He did additional graduate studies at the University of North Carolina at Chapel Hill (city and regional planning) and the University of Maine (behavioral sciences). In 1967, he served as fellow of the College of Preachers. Mead later received honorary degrees from the University of the South, Virginia Theological Seminary, Berkeley Divinity School at Yale and the Episcopal Divinity School. In 1999, he was named the fifth recipient of the Henry Knox Sherrill Medal by the Episcopal Church Foundation. His work lives on in the church. Alban at Duke Divinity, the successor to the Alban Institute, continues his agenda of research and consulting, with more than 45,000 people receiving its weekly newsletter. Institutions like the interim pastorate and the Consortium of Endowed Parishes continue to express the concern for the life of local religious communities that was the heart of his professional vocation. Born and raised in the segregated South, Mead worked for racial justice and reconciliation throughout his career. Besides marching with a delegation of white pastors in support of Martin Luther King after the death of Medgar Evers, he played a leading role in the desegregation of Chapel Hill. At the end of his life, he was working on the manuscript of a book about an ex-Confederate Civil War chaplain who left the Episcopal Church to minister to African-American congregations in post-Reconstruction South Carolina. Mead was married to the former Polly Ayers Mellette until her death in 2013. They are survived by four children, Walter Russell Mead of Washington, D.C.; Christopher Allen Mead (Laura) of Oakton, Virginia; Barbara Mead Wise (James) of Durham, North Carolina, and Philip Sidney Mead (Carolyn) of Philadelphia, Pennsylvania. They have seven grandchildren: Elizabeth Courtney Duncan (Jonathan), James Benjamin Stallworth Wise (Christine Malumphy), Loren Benjamin Mead II, Nicholas Alexander Mead, Katherine Anne Mead, Grace Elizabeth Mead and John Douglass Mead. They have 4 great grandchildren, James Bennett Duncan, Jonathan Alexander Duncan, Lucy Claire Duncan and Mary Hannah Duncan. 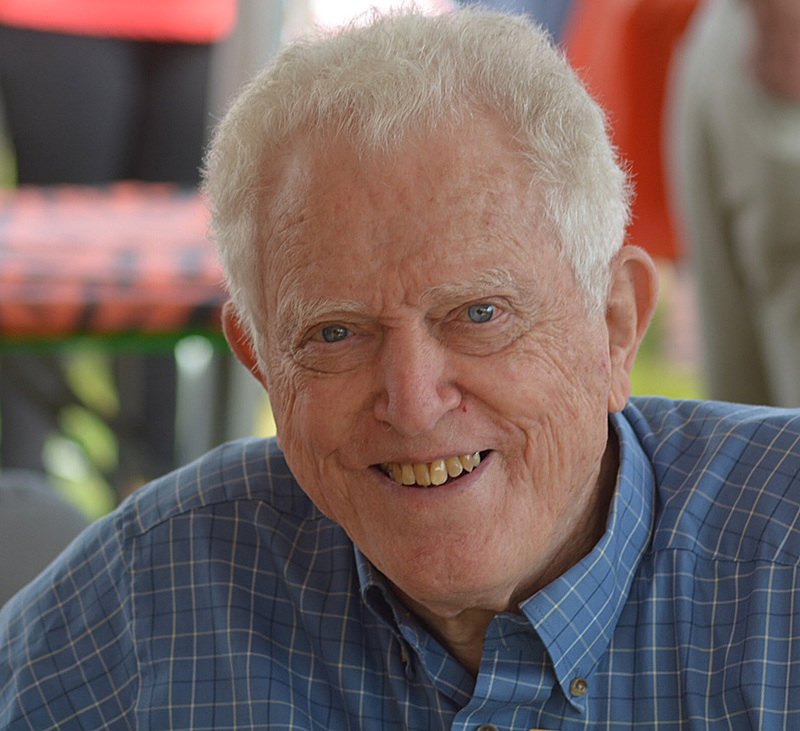 Loren’s life will be celebrated at his parish home, St. Alban’s Episcopal Church, 3001 Wisconsin Avenue NW, Washington, D.C., on May 21, at 11 a.m. In lieu of flowers, the family asks that memorials be sent either to St. Alban’s Church or to Alban at Duke Divinity School, 1121 W. Chapel Street, Suite 200, Durham, NC 27701.